Prices : The 4-day internship is 200€ to be paid to Lucien the professional who comes to the site. + the bedding (Price of the room breakfast included)- 30% +( the 4 lunches + the 4 evening meals = 164€) is a total depending on the chosen bedding. Outside these dates you can make specific requests, even for one person. 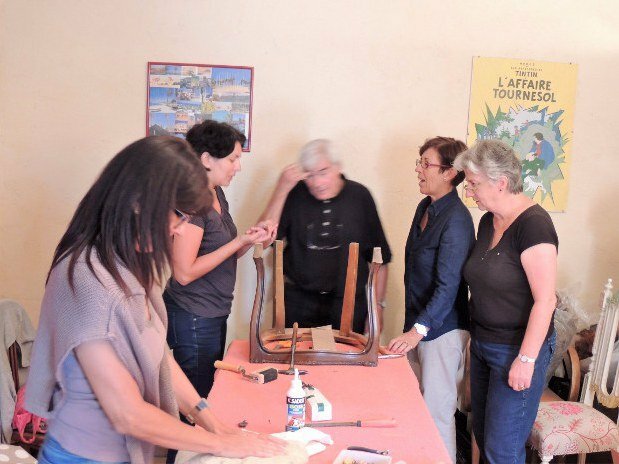 Discover our chair renovation courses, near Aix-en-Provence and in the P.A.C.A. region; in our guest rooms. with our current rate = - 15% off the room rate. 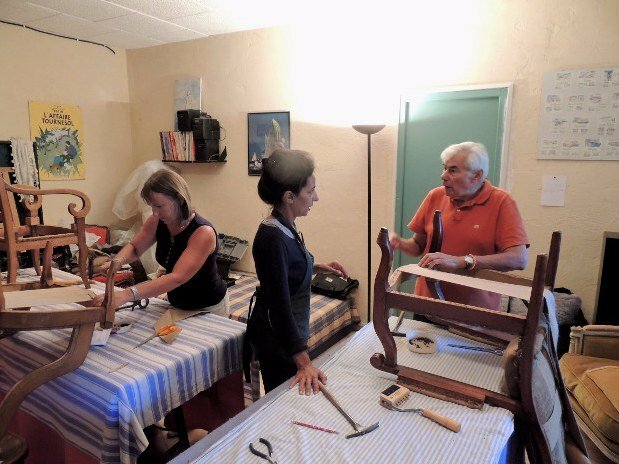 We have set up training courses for the renovation of armchairs in partnership with a retired upholsterer, very friendly and dynamic (a real Provençal) within our guest house Les Chênes Verts in the Luberon at La Bastidonne near Aix-en-Provence. 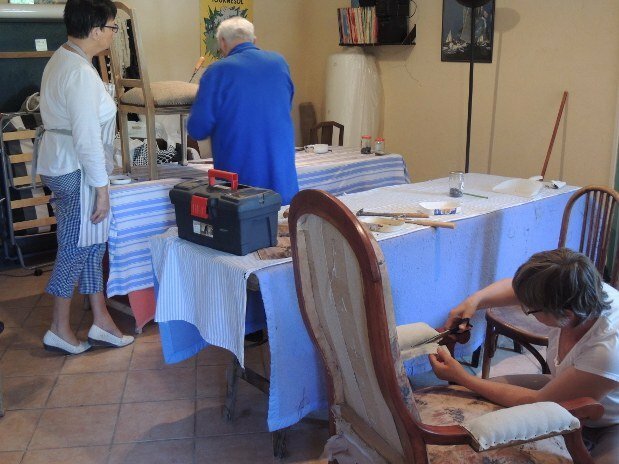 Come and participate in a private seat repair course or a group course limited to 3 people. 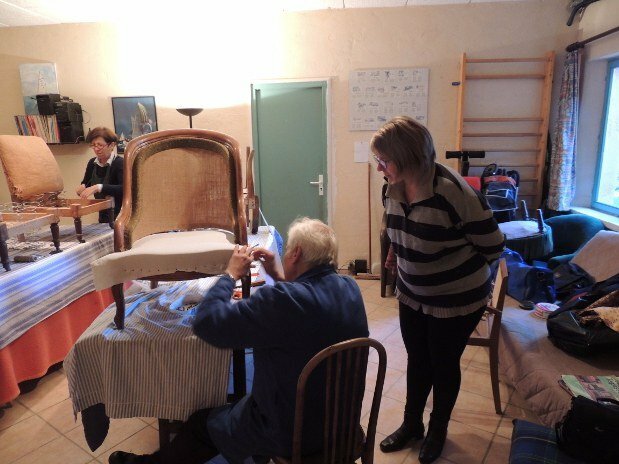 Véronique and Patrick's passion for antique furniture and our meeting with a professional, allowed us to launch the activity: Renovation of armchairs. 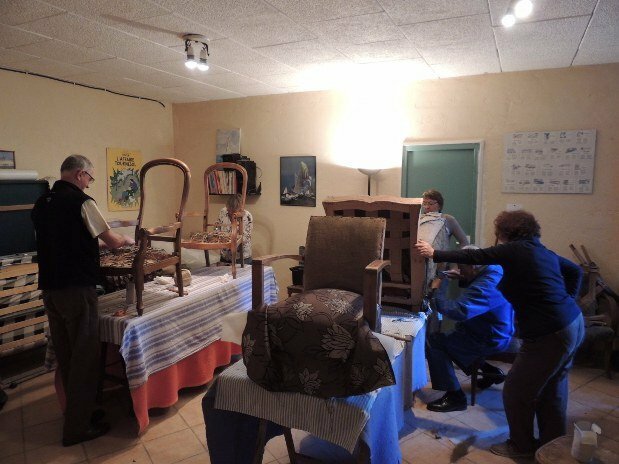 We invite you to share our passion for the restoration of seats, armchairs, chairs, benches, etc... in Les Chênes Verts, in addition perhaps the possibility of finding opportunities to seize on site. 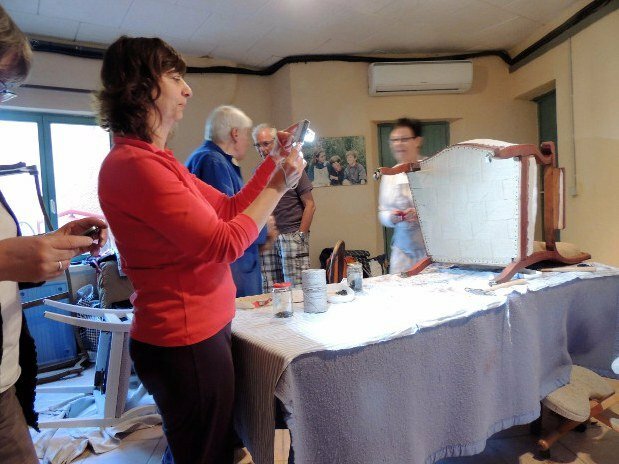 Our workshops are scheduled monthly or on specific requests. We want at least 1 or 2 people to organize a course and limit the number of people to 3. 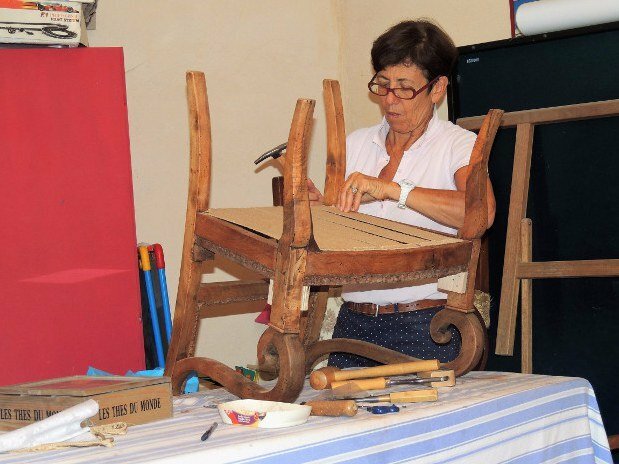 Our chair renovation courses are in full board. To follow these courses (4 nights with breakfasts, snacks, 4 lunches and 4 dinners) have been developed, thanks to our past experience. We propose to arrive on site the day before the internship to fully enjoy the activity. 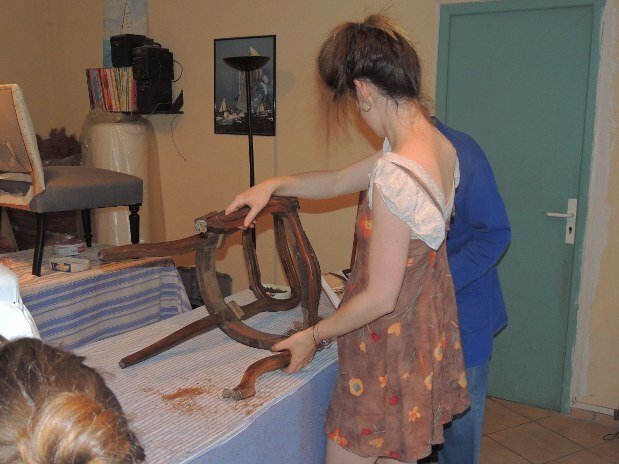 If you want to change the decoration in your home, you can come with your chairs, you will leave with refurbished seats. Or you would like to redesign it or them. We will teach you and assist you for a quality rendering. 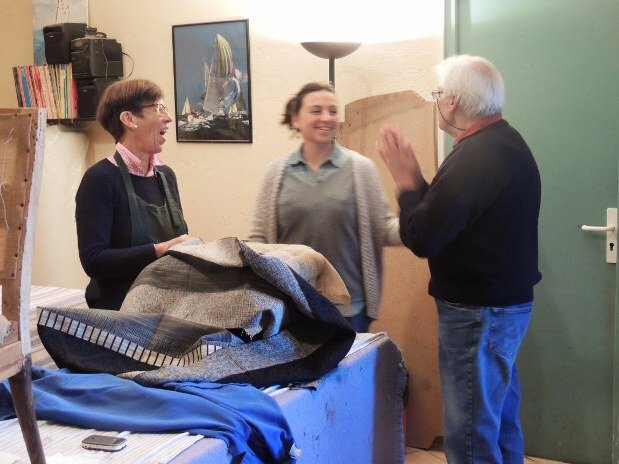 It is also important to note that the guest house Les Chênes Verts does not charge for the renovation course: the training is at the rate of 200€ to be paid directly to the retired craftsman.